Before first use, rinse teapot well with hot water. 1) Preheat your Tetsubin teapot. Pour hot water into the teapot, swirl and discard. 2) Add your tea leaves to the stainless steel infuser basket and insert into your teapot. 3) Add appropriately heated water, infuse for the desired length of time, then remove the infuser with leaves or decant all of the tea from the teapot. 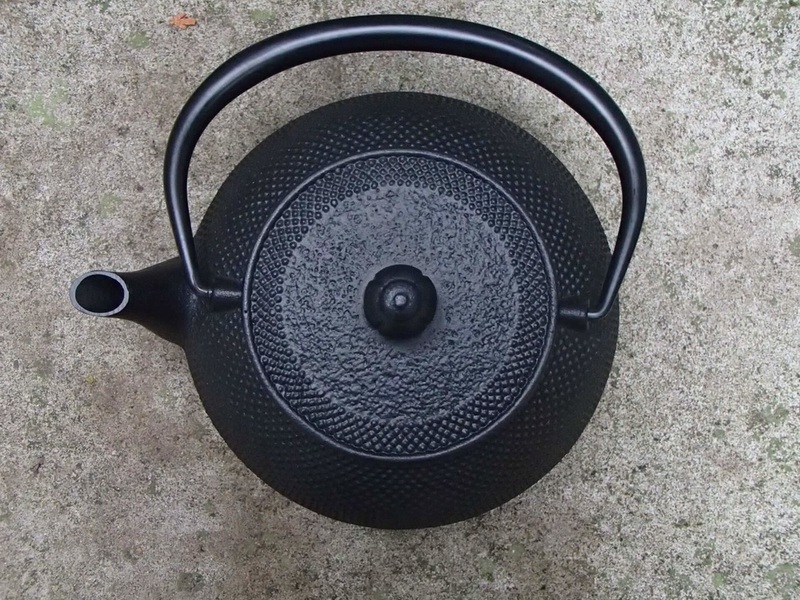 4) When finished using your iron teapot, wipe the Tetsubin with a dry towel and remove the infuser basket as well as the lid to allow for good air flow. 5) Always allow your teapot to air dry completely. Note: Soap, salt & oil should never come into contact with your teapot. Do not scrub your teapot with anything abrasive. *Lined Tetsubin teapots are NOT water kettles. * Please see our Japanese Kettles page if you would like to heat water on your stove. Damage to lining may occur if used on stove top. A natural mineral layer will build over time and will further protect the interior of your teapot.